Bellator heavyweight GP semi-finalist and former UFC middleweight title contender Chael Sonnen believes that Floyd Mayweather Jr. will return to action, despite having announced his third retirement in the summer. “Money” claimed he would hang up his gloves for good following his victory over Conor McGregor in August, yet Sonnen isn’t buying it. “Floyd Mayweather comes out and he…puts out like a little video…of him getting into an MMA cage. We know he’s not doing MMA, there’s nothing about that but why would he be wanting to keep his name out there? I know the answer, I just want to tell you guys. Floyd’s fightin’ again. He’s gonna box,” Sonnen said in a video you can watch below. It would certainly be an eye-catching scenario if Mayweather did step inside the Octagon, but the chances of that happening are still mega slim. 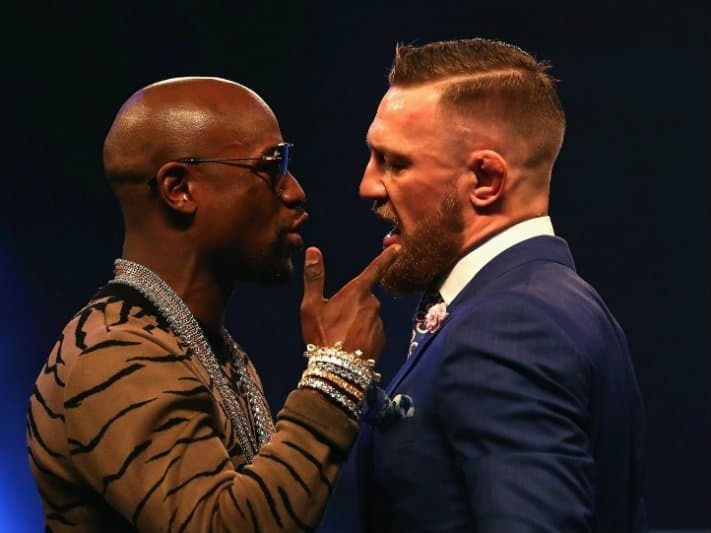 If the Mayweather vs. McGregor rematch is to happen, and there is not enough perceived interest in a boxing bout, it would be highly likely that any alternative fighting rule set would preclude takedowns and submissions, and more than likely, anything other than striking with the hand. There is no doubt that Mayweather is very conscious of his wishes to exit boxing with all his faculties in check, so it would make zero sense for him, as a 40-year-old, to challenge a UFC champion inside the Octagon. A man with the disadvantages Mayweather would take into the cage against McGregor, who is 11-years younger, would not be ideal. Sonnen may be on to something here, but would anyone really be happy to fork out another 100 dollars to watch a repeat of the first bout? Covington argues that his status as UFC badboy is enough to sell tickets and pay-per-views, setting up an entertaining dynamic against Woodley who he believes is looking to play the opposite role. dos Anjos has been a revelation at welterweight, and is currently 3-0 since his move frrom lightweight last year. Having lost his title in an underwhelming perfromance he blamed on a disatruous weight cut, the Brazilian promised he would be better at 170-pounds and has delivered, thus far.